One thing I love to make from scratch in the summertime is lemonade. I have a ton of lemonade recipes up my sleeve. It is a drink that is super easy to make, very inexpensive and always quenches our thirst. 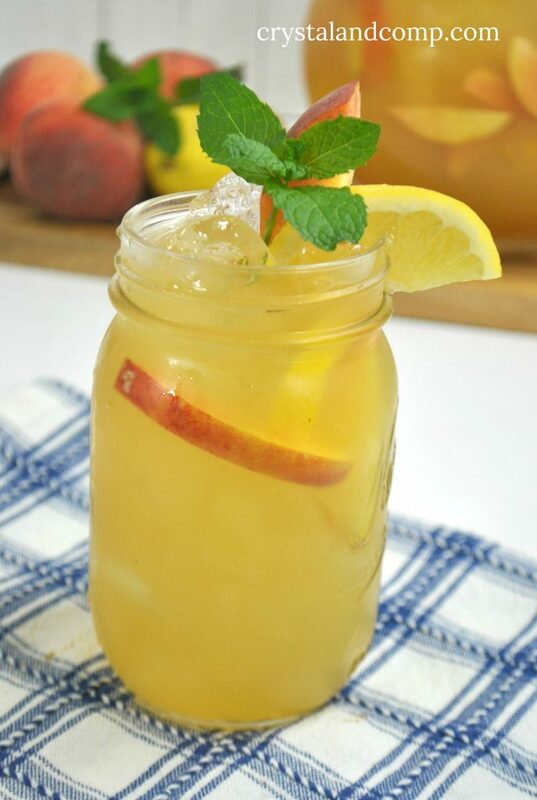 Have you ever tried adding fresh fruit to your lemonade? It is a simple way to make this delicious drink a little fancy. 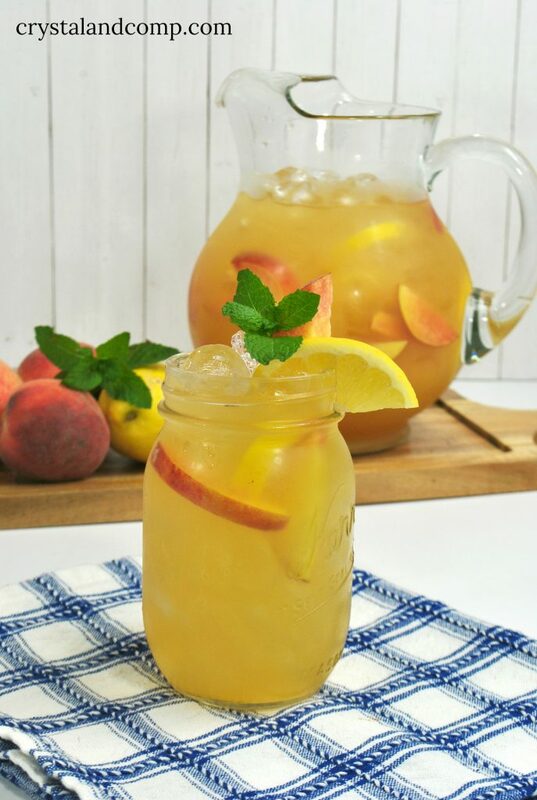 Here is how we make homemade peach lemonade. It’s perfect for family and neighborhood gatherings, birthday parties, summer baby showers or any day just because. 4-5 large fresh and ripe peaches, chopped, seed removed, skin on. Grab your peaches and clean them well. Remove the pits from inside by cutting them into slices, but keep the skin on. In a medium sized pot, add in the 2 cups chopped peaches, water, and your sugar over a medium heat. Once it’s boiling, reduce the heat to simmer and cook uncovered for five minutes. After five minutes, remove the pan from the burner and set it to the side letting it cool for at least ten minutes. Grab your blender. Pour the peach mixture into it and blend until smooth. Pour into a ziploack bag and refrigerate until chilled. Once the peach mixture is chilled, at least 2 hours, press it through a fine mesh sieve into a large pitcher. This will give you just the juice from the peach puree. That is what you want. Wash your lemons and cut them in half to squeeze the juice from each lemon into the large pitcher. Ensure that you do not drop in any seeds. You should have about one cup of juice from all of the lemons combined. Fill each glass and enjoy. 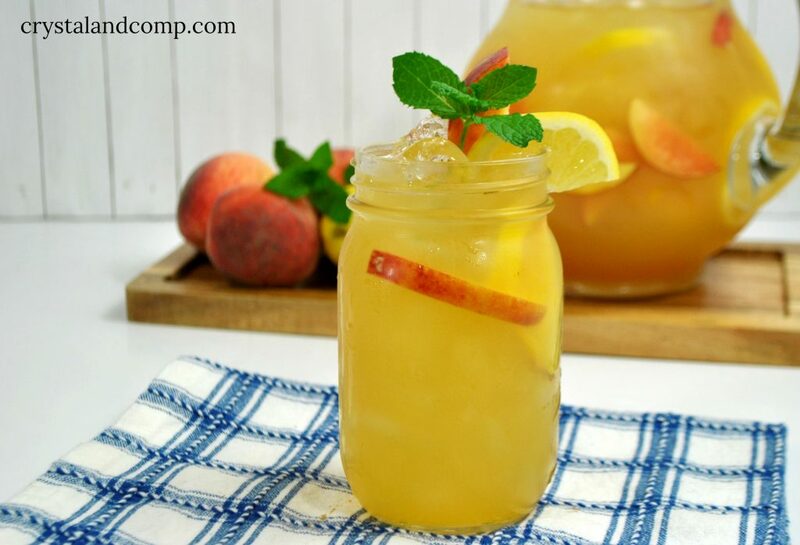 Garnish the glass with fresh mint, and peach slices. I totally recommend the mint leaves. They are awesome! We love all things peach. 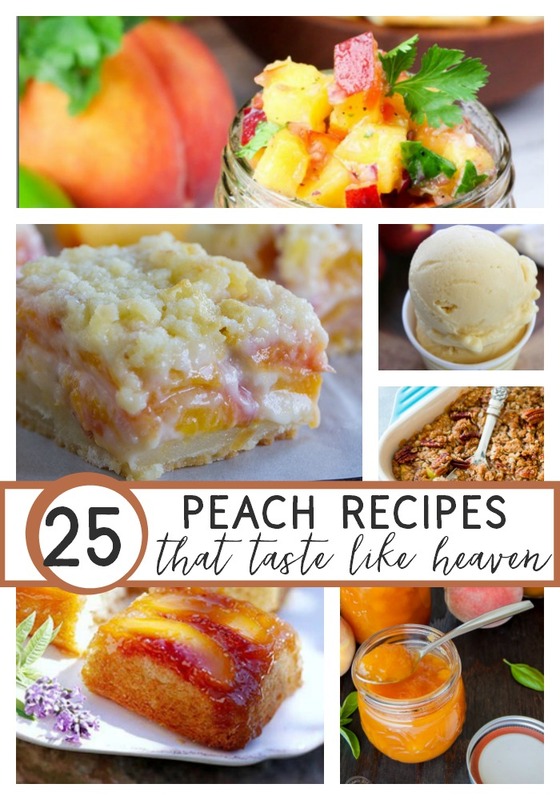 Here are more than 25 peach recipes that are refreshing and delicious. If you’re craving lemonade, we have tons of ideas and different ways to make it.